The appearance of this edition marks the full realization of a project started as long ago as 1991, when only a Xeroxed collection of select cartoons was produces. 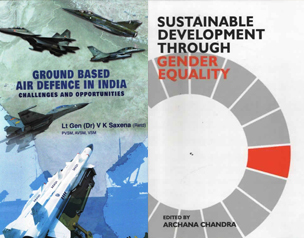 The book has divided into nineteen chapters, each having a catchy heading, epitomizing the lighter side of the respective area, events and activities. Each chapter has the relevant articles, interspersed with and a supplement of cartoons. 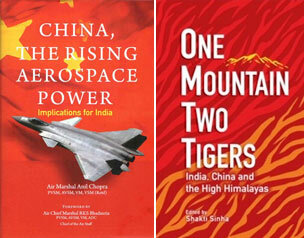 There is ample assurance that the Potpourri will make an interesting reading: provoking original ideas, benign laughter and inter-Service conviviality, which, the skies, mountains, seas and separating distances, may inhibit after passing out of the portals of the National Defence Academy. Should this updated edition be found as interesting a reading as the earlier one, I would of course, be too delighted, in your delight. Dr Kishori Lal, Associate Professor, who has been associated with the Cadets for over three decades in various capacities, has felt and captured the punch-line of their lighter fare by delving deep into their psyche- what goes on under the blue beret! 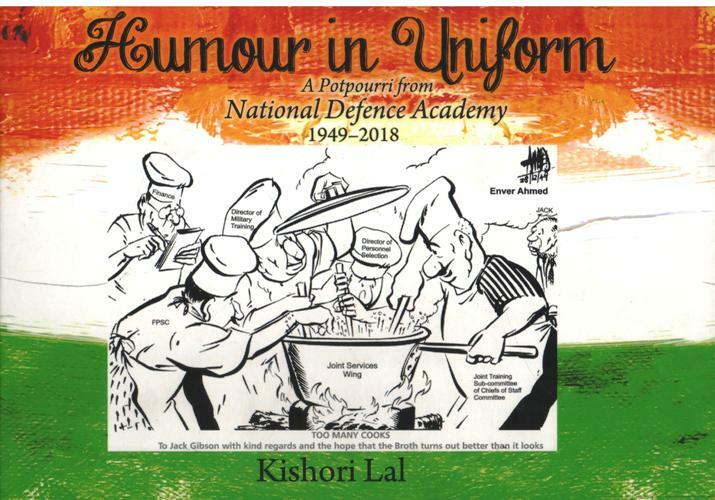 Dr Kishori Lal has embarked on this project single handed and cheerfully undertaken the drudgery of locating ample material culminating in a book-length study of humour in uniform.